The very exciting 2019 International Conference on the work of Emily Dickinson and the sea will take place on August 8-11, 2019, in Asilomar, California. Known as Monterey Peninsula's “Refuge by the Sea,” Asilomar State Park is located on 107 acres of state beach and conference grounds, within the quaint and scenic town of Pacific Grove. Asilomar is celebrated for its restored dune ecosystem and architectural significance, with cozy, historic structures designed by renowned Arts & Crafts architect Julia Morgan between 1913 and 1928. Dickinson writes she “never saw a moor” or “the sea,” yet she knows “how the heather looks” and “what a billow be,” and also the sea's swells, tides, mysterious and familiar creatures. Indeed, Dickinson explored the landscape of the inner wild. Her poetic and epistolary writings investigate the end of consciousness and the West, as a figure for the unknown and a way to transcend physical and mental boundaries. Her writings investigate this unknown place by transforming her daily experience as she dwells in poetry. As her readers are more than aware, Dickinson welcomes us to take this profound imaginative voyage with her. The conference features panels by international scholars on a variety of topics, including critical interpretations of Dickinson’s poetry and letters in light of water, environmental criticism, non-human studies, plant studies, creativity and imagination, ecology, geography, landscape, and the like. Topics on unrelated areas of current interest in Dickinson studies are also part of the program. A variety of formats, including traditional panels and roundtables, as well as flash presentations, will fill our days and nights by the sea, facing West. Housing information will be available before April 15th! To access the original CFP, click here. 2019: Is Translation a Loaded Gun? Is Translation a Loaded Gun? This EDIS-sponsored roundtable invites proposals reflecting on that specific Dickinson poem in translation: Why translate this work now? What is carried over, what's left standing in corners, in transit? Read more about 2019: Is Translation a Loaded Gun? Online registration is available here! To download and mail in your registration form, please click here. In collaboration with the Emily Dickinson Museum, The Emily Dickinson International Society 2018 Annual Meeting will be held Aug. 3-4 in Amherst. “Emily Dickinson: In the Company of Others (Otherness as Company)” will feature a keynote address by Vivian Pollak, Professor of English at the University of Washington, St. Louis and one of the original founders of the Society; a lecture by the celebrated composer, conductor and teacher, Alice Parker; panels on Dickinson and pedagogy; reading seminars on Dickinson, race and gender; and poetry groups on Dickinson’s reading cultures and her notions of solitude and community. The meeting will also host the prestigious EDIS Critical Institute as well as an open Research Circle, both opportunities for meeting participants to search together for new knowledge from their different perspectives. 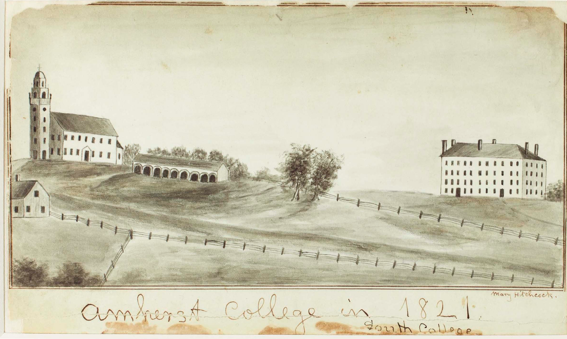 Special events at this year’s meeting include original performances about Dickinson’s life and work; literary walks and tours of Dickinson and Todd sites in Amherst; a presentation in the Amherst College Archives; and a picnic on the grounds of the Dickinson Homestead with a view of the Pelham Hills. This is a splendid opportunity for meeting new and reuniting with old friends, all fellow travelers in reading Dickinson’s writings, learning about her cultural, natural, and familial surroundings. The Lord Jeffrey Inn has set aside a block of rooms with special EDIS rates that are offered from August 2-4. To obtain special rates, please say that you are attending the EDIS 2018 Annual Meeting when you call 413.256.8200 to book your reservation. A list of other accommodations within one and two miles of the Emily Dickinson Museum can be accessed here. See Reading Lists for Critical Reading Groups and Poetry Reading Groups here. Readings for Alice Parker's lecture, "The Music in the Words: Rhythm, Pitch and Phrasing in Two Worlds" are available here. We’re very pleased to share this link to the Ko Festival website (https://kofest.com/), where you may purchase discounted tickets to Laurie McCants’s 4 August 8:00 PM performance of Industrious Angels. To purchase your discounted tickets, simply type the code word “FEATHERS” into the coupon box when you check out. The Emily Dickinson International Society sponsors a prize for undergraduate research on Emily Dickinson. The objective is to recognize and encourage outstanding scholarship among undergraduate students. Students whose papers were written for an undergraduate course are eligible to submit their work. Papers are required to be 15 pages maximum along with Works Cited. All contestants will have a panel of experts judge and give comments on their work. The winning student will receive a check for $100 and be entitled to list this national award on their resumés. In addition, the winning essay will be posted on the EDIS website in September. Please send your papers with a cover page that contains email and mailing address to Dr. Elizabeth Petrino (epetrino@fairfield.edu). The deadline for papers to be submitted is June 30, 2018. If you want to vote by email, please write to paraic.finnerty@port.ac.uk, subject line “Member-at-Large,” and put your name and the name of your candidate of choice (Julie Dobrow Li-hsin Hsu) in the email. If you want to vote online, please click here. To view the candidate's statements, please click here. VOTING CLOSES ON April 1, 2018.